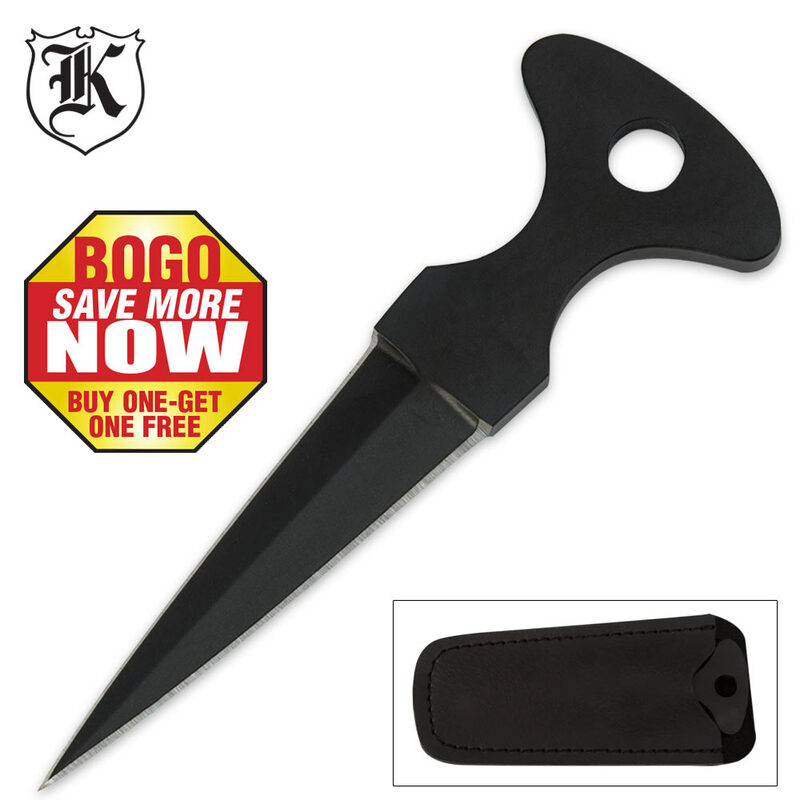 Carry this discreet push dagger right in your wallet out of sight. This knife may be little but it packs a big punch! The double-edged stainless steel knife features a black coating and a slim design so that it slides effortlessly into the included leather pouch. Slide the pouch in your wallet and you are ready to go! You will receive two push daggers with this purchase.